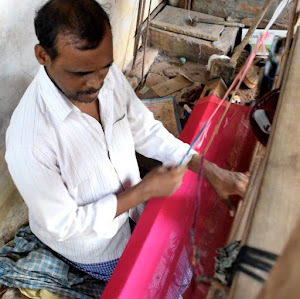 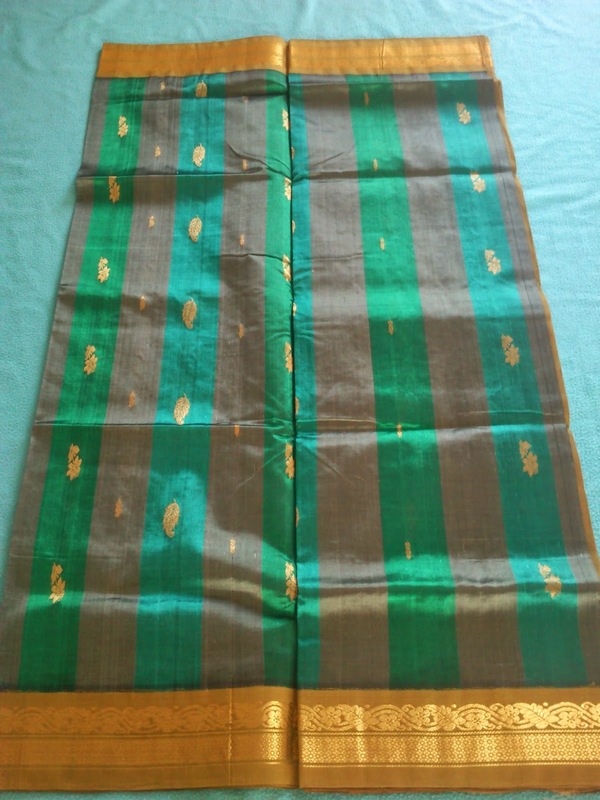 Aarani Pattu/Silk saree woven in Uppada. 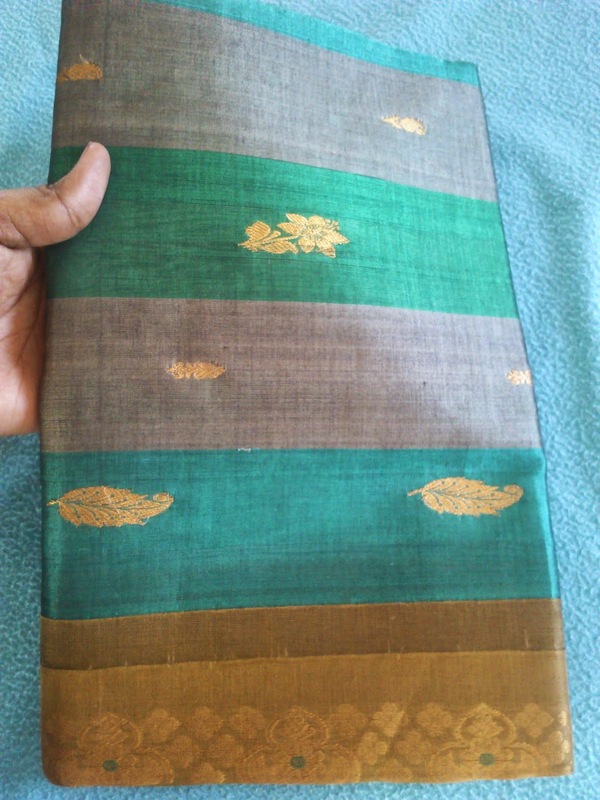 Teal, Ash and Green color lines running all over saree with leaves and flowers butta. 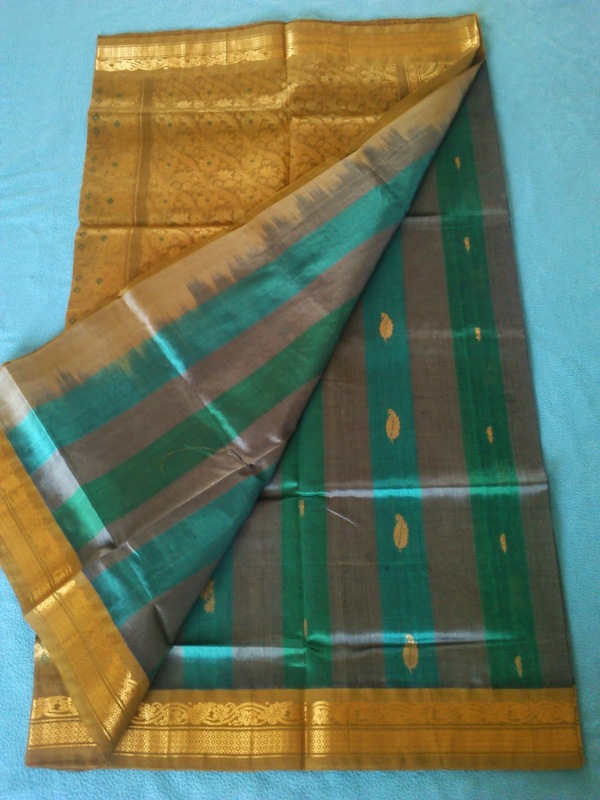 Pallu has heavy Zari design.